The mile high city of Denver is known for its beautiful sights, sunny weather, and location east of the foothills of the Rocky Mountains. 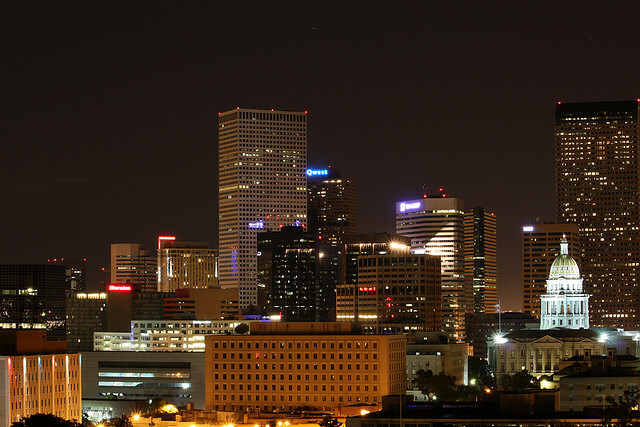 An exceptionally beautiful and active place to live, it’s no surprise that Denver is home to nearly 650,000 people. And while the inventory of for sale homes is up nationwide, Denver’s market has clearly become more limited, making real estate sales and buying much more competitive. In this tight home market, buyers and sellers alike are looking for the best Realtors in Denver to assist them with expert advice and support. We’ve identified 15 of Denver’s leading real estate agents. These individuals have excellent recommendations, hundreds of closed deals, regional and national recognition, and years of experience that make them qualified to expertly represent clients in any real estate transaction. And while we’ve listed our favorite Denver Realtors without rank, we’re curious to find out which one you think is the best. Be sure to vote in our poll at the end of the article to tell us which Realtor is the best in Denver! Leader of Trenka Real Estate, Mark Trenka has put his sales and sales management record to work, quickly expanding the company to more than 600 sales transactions and more than $130 million in total sales value. Trenka and his team are proud to work hard to meet client needs, work with integrity, and develop strong relationships based on trust and honesty. In addition to leading Trenka Real Estate, Trenka is the Metrolist Director on the Denver Metro Association of Realtors board of directors. 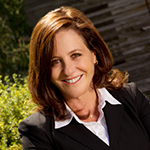 As the owner of Fresh Air Real Estate, Jackie Long prides herself on offering turnkey, above and beyond solutions for every real estate transaction. Long has a great track record in Denver real estate, and holds the title of Certified Residential Specialist, Certified Negotiation Expert, and membership in the Graduate Realtor Institute. She has also been named a Five Star Real Estate Agent by 5280 Magazine every year since 2011. Long’s clients are happy to recommend her as a detail oriented, patient, and prompt real estate professional. Owner, founder, managing broker and appraiser with Green Door Living, Brad Sandler takes a laid back, but thorough and details approach to real estate — especially in negotiations, deadlines, and contracts. And as an appraiser, he goes the extra mile to take a good, hard look at the homes he finds for clients, inspecting their plumbing, electricity, foundation, and more. 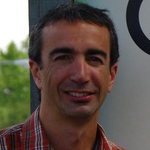 Sandler is also a Green Realtor with an Ecobroker certification, meaning he has the expertise to assess environmental impact, energy efficiency, and cost for his clients. 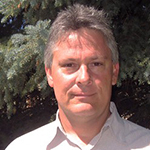 Clients love Sandler’s impressive knowledge of the Denver area, as well as his relaxed, yet professional demeanor. He has been recognized for his excellence in real estate locally, named a 5280 Magazine Five Star Top Real Estate Agent every year since 2010. 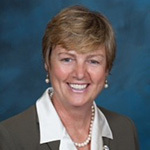 Inge Frerichs is associate broker with Magic Genie Realty, and has been a Realtor since 2002. She has more than 25 years of international business experience, and uses her background to assist real estate investors not just in the United States, but throughout the world. Frerichs is active in the real estate community, serving on the National Association of Realtors board of directors, and on the global council at the National Association of Realtors conventions. 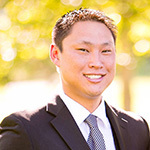 David Ma is the managing broker and owner of Signature Real Estate in Denver. He boasts more than 8 years in real estate, and has experience serving the needs of commercial real estate investors, first time home buyers, and every client in between. Ma is especially knowledgeable in market information, negotiation, property evaluation, and real estate laws, giving his clients an advantage in real estate transactions every step of the way. Clients say that Ma is an excellent Realtor to have on your side, offering attentiveness, knowledge, and accessibility. With more than 20 years of sales experience, da Vinci Realty broker owner Chris Vinci loves to help his clients achieve their real estate goals. 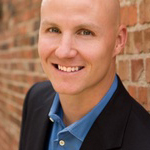 He is consistently ranked among the top 10% of Realtors in the Denver area. Due to his success rate, Vinci is recognized as a Certified Residential Specialist, Certified Luxury Home Marketing Specialist, and a Certified Mountain Area Specialist. 5280 Magazine named him a Five Star Real Estate Agent in 2013 and 2014 as well. His clients say that he is knowledgeable, reassuring, responsive, and aggressive — and they appreciate his excellent history of sales. 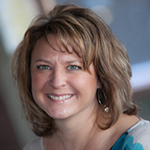 Since 2000, Cindy Dassinger has proven herself as a capable Realtor in Denver. 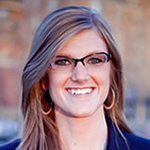 She specializes in first time buyers, and enjoys helping her clients as they make a big, emotional decision. And as a number of her buyers have become sellers, she has continued to work with repeat clients for purchases of their second and third homes. Dassinger’s clients appreciate that she makes what can be an overwhelming experience into a smooth process, while offering prompt, courteous service at all times. 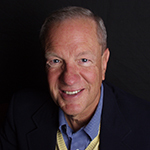 Ted Bryant has been a trusted name in Colorado real estate since 1969, and he brings a wealth of experience to every real estate transaction. Clients love that Bryant has the expertise to make buying or selling a home smooth and simple — while also showing that he genuinely cares about them. 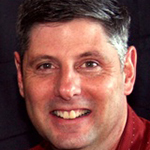 Bryant is a past president of the Colorado Association of Realtors, and a current National Association of Realtors director. Owner and managing broker of Finn Real Estate, Patrick Finney enjoys sharing his passion for helping people with real estate. He’s careful to always look out for his clients’ best interest, and those that work with him know to expect an honest, straight forward approach whether you’re buying or selling a home. 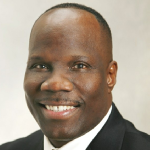 Finney is an accomplished Realtor, with more than 500 real estate transactions valued over $150,000,000. In 2010, 2011, and 2012, he earned the Five Star Real Estate designation, and in 2011, earned #2 in production for small office division with the Denver Metro Association of Realtors. Finney’s clients say that he exceeds their expectations, and regularly goes above and beyond to make sure they’re satisfied. Jenny Usaj, owner of Usaj Realty, got her start in real estate helping her father fix and flip houses in Texas. She continues to manage her own personal investment properties in Texas and Colorado, while helping her clients with their own investments and real estate dreams. Usah believes that housing is a right for all, and is proud to contribute to organizations that support communities, including Habitat for Humanity and Living Water. Her clients recognize her as a knowledgeable, friendly, and always available Realtor who is ready to bend over backwards to take care of her clients. Founder and managing broker owner of K.O. Real Estate, Karen Frisone has made it her mission to provide her clients with excellent customer service and professionalism. She is recognized as one of the top agents in real estate in the United States, and has been honored locally for her work. In 2009, Frisone was recognized as #1 in transactions closed, and #2 on the money list — and earned the Denver Board of Realtors Roundtable of Excellence Award in both 2009 and 2010. She is an active member of the Denver real estate community, and serves as a director with the Denver Metro Association of Realtors. 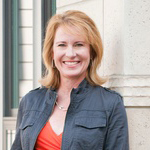 Jody Donley is the CEO, managing broker, and Realtor for New Perspective Real Estate. She got her start in real estate by purchasing and remodeling two Denver area homes — which launched her into a career as a Realtor. In her first three years, she generated more than $40 million in sales and subsequently founded New Perspective Real Estate in 2005. Donley is proud to have a great reputation for outstanding client service, which her clients are happy to back up. She’s known for always being available, helping with every step of the real estate transaction, and clients love that she’s knowledgeable about Denver area real estate — particularly Stapleton. 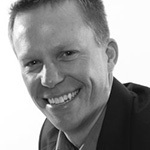 Owner of Denver Realty Experts, Greg Eckler loves to help clients with their real estate needs in Denver. He boasts more than 10 years of real estate experience in the Denver metro area, and specializes in Central Denver sales, particularly Stapleton, Highlands, and DU. Eckler is also recognized as a leading Realtor in the Denver area, in the top 1% of Denver County agents with the designation of Certified Real Estate Specialist and Graduate of Real Estate Institute. 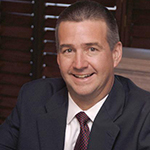 His clients recommend his as a trustworthy, knowledgeable, and reassuring Realtor. Managing broker of Lyon Realty Group, Milford Adams has more than 15 years of experience in residential and commercial real estate and finance. In fact, in addition to real estate sales, Adams is the cofounder of a community based credit union and mortgage lending company. He’s a leader in local real estate as well, serving as a director on the Denver Metro Association of Realtors board of directors. A former mortgage company owner, John Paluck has an excellent understand of not just real estate, but real estate finance. He puts this knowledge to work as one of Denver’s top producing real estate agents, and is valued by his clients for his experience and superior negotiating skills. Paluck’s clients say that he’s aggressive, responsive, and an ultimate professional.